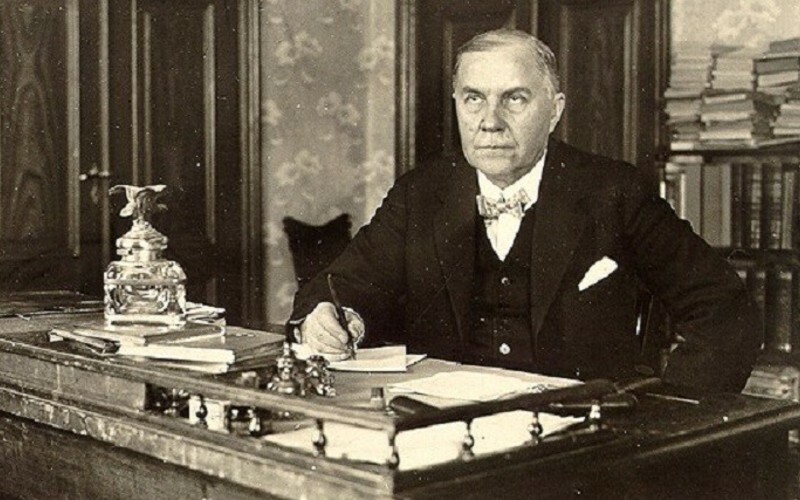 Eduard Vilde (1865-1933) was the first Estonian prose writer to achieve classic status, and he has thereby come to be regarded as the most eminent. He was ‘first’ in many ways. 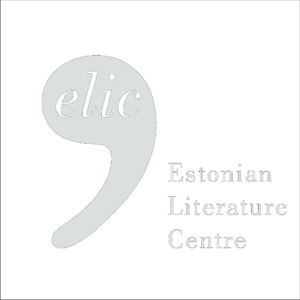 The first to write bulky original novels – even in the early 1900s the fact that most Estonian prose works were so short, was seen as a reflection of a tiny population. And even when Vilde’s huge historical novels,The Mahtra War (Mahtra sõda, 1902), When the Anija Men Went to Tallinn (Kui Anija mehed Tallinnas käisid, 1903) andThe Prophet Maltsvet (Prohvet Maltsvet, 1908) were published, they were regarded as ‘comforting exceptions’. Other novelists did not acquire Vilde’s potential until the 1920s, from which time the success of the Estonian novel (even in a quantitative sense) was seen as a guarantee – or simply a demonstration – of cultural vitality; this was the case in Estonia in the 1930s and in exile circles in the 1950s and 1960s. And the very archetype of this ‘vitality’ is Eduard Vilde whose collected works in 33 volumes (1923-35) included novels, short stories, plays, travelogues and humorous pieces. Vilde was not only the first great Estonian prose writer, he was also the first modern European in Estonia. One should remember that when Vilde embarked upon his remarkable career as a writer and journalist in the last decades of the 19th century, Estonia was a rural province of Tsarist Russia and – in a sense – a part of the German Empire by virtue of its German nobility. In the late 1890s, Vilde spent some years in Berlin where he became a devotee of materialism, socialism and ‘critical realism’, a commitment that he adhered to for the rest of his life. While Vilde was discovering Europe in Berlin, Emile Zola and his ‘naturalism’ was all the rage there. Vilde could be said to have been born European at this time, and this was a strikingly modern and liberal rebirth in the atmosphere of the Baltic province. Vilde’s numerous short stories and novels now expressed, in the words of the pre-eminent Estonian literary critic, Freidebert Tuglas (1886-1971), irony and sarcasm about a conceited world which is in fact hopelessly out of date. InAgainst the Pricks (Astla vastu, 1898), the first European novel in Estonian literature, Vilde reveals the vices of such a world, its oppressive social barriers, the inequality of women, the degenerated appetites of society. And when all is said and done, the merry company, in excellent spirits, takes a coach and leaves that horrid province… heading west, towards ‘our sunrise’. Vilde is evidently the first ‘Euro-coachman’ in Estonian literature. Urging on his horses, whilst vigorously whipping all manner of human and social vices. A whip is a significant element throughout Vilde’s writings. A considerable part of his output depicts – sometimes using documentary materials – the life of the peasantry under the rule of German landlords in 19th century Estonia. Among other things, he is fond of describing the corporal punishment of peasants. This grim ritual, this symbol of the epoch – a landlord wielding a whip – was for Vilde the embodiment of the evil and archaism against which he, a world reformer, so keenly battled. Vilde was a humanist, yet his novels are often full of blood and violence; he whipped the landlords with his method of ‘critical realism’ just as fiercely as they had whipped his compatriots during the years of corvée labour. The whiplash can be felt in every one of his works, in some way or other. They all deliver a stroke, however slight, at a human vice or social injustice. The very tone of the text, the choice of words, immediately reveal the author’s ‘critical tension’ and steer the reader to a particular point-of-view. A later short story Thirty Years ofLove (Kolmkümmend aastat armastust, 1927) is a good example of Vilde’s technique: just look at all those hypocrites, the priest, the mourning widower! Social roles and egoistical passions rule the day, true humanity is but an empty phrase! Vilde observed the whole of society with suspicion; as a socialist who had experienced ‘a moment of enlightenment’, he, like any true believer, considered our world to be but a ‘valley of afflictions’ to be replaced by a better one. His works describing the life of the city proletariat reflect that valley (To the Frozen North, Külmale maale, 1896; Redemption, Lunastus, 1909, etc.) Their best moments acquire a slightly manic and expressionistic guise, or, to put it another way, in all his stories and novels, Vilde tries to reveal what people are really thinking and feeling (for instance at a funeral), which arguments and instincts govern life in this our valley of afflictions. The most respectable Estonian prose classic thus displays neither ‘classical tranquillity’ nor ‘mature wisdom’, with the exception, perhaps, of his last novel, TheDairyman of Mäeküla(Mäeküla piimamees, 1916) with its love triangle, and the signing of a pact with the Devil. Rather, Vilde’s texts contain a perpetual glow of moralising resistance and an ever-lashing whip – whether it be striking the lacerated back of a peasant, or in the dashing hand of a coachman speeding towards Europe. And it sometimes seems that this kind of bitter settling of accounts with one’s past and present, alongside the rush towards an enlightened Europe, constitutes one of the most characteristic features of Estonian mentality over the last hundred years. Vilde’s reality – the manor house stables, the humble peasant dwellings and the stuffy workers’ barracks – has changed beyond recognition. But the ’deeper structure of that reality’, the fact that we are still half-way between the valley of afflictions and ‘our sunrise’, has remained unchanged. This may indeed be one of the secrets of Vilde’s classicality.